Well here is part one of a long story of this years Agawa trip. Sue & Jim's Agawa Adventure! Last edited by jedi jeffi on April 9th, 2019, 3:20 pm, edited 7 times in total. Now I have to get a wifi connection, so I can see what we did. Jeff's trip reports are always worth the read but to be on the trip was even better. Can't wait to read the rest of the adventure Jeff! As many others here, I have always admired Jim and Sue's work, and cherish my copy of their great book. A wonderful idea to plan this trip for them, and to be commended. Thank you from the chorus of appreciative paddlers! "First some context. Sue and I have paddled together for 60 years. ie we are old guys. We are enjoying getting old and still like tripping. In those 60 years we have never done moving water (except the almost-not-moving water of small creeks, the Grand river and the St Lawrence). 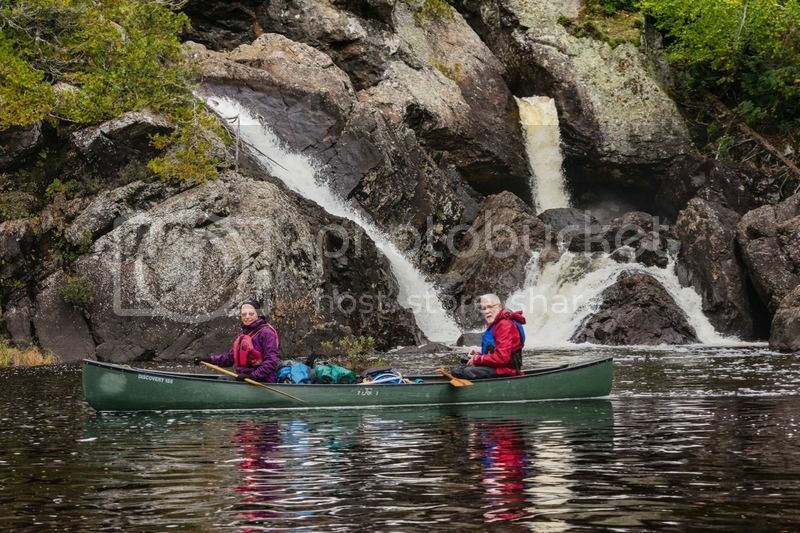 Most of our trips over the past 40 years have been just the two of us trying to locate and photograph the places that the inspired the Group of Seven. This has been great fun. Some years ago Jeff offered to take us down the Agawa River and to show us the many G7 sites that he had found and photographed. We were excited about seeing the places but told him that we were too old to start whitewater. Now I have always maintained that it is really fun to see an expert do their thing. It almost doesn't matter what the thing is. It turns out that Jeff knows this river really well-he has paddled it almost every year for the past 35 years. It also turns out that Jeff competed successfully in international paddling competitions. And he is very persuasive, a great guy and an EXPERT. So it turns out that Sue and I are no longer too old. We had a chance to see this beautiful river and see the expert, Jeff, do his thing. It was fantastic. Jeff took extra special care of us. He showed us lots of fantastic G7 sites and introduced Sandi ( the fourth person on the trip) to the thrill of locating the artists' painting rock and sitting on it. He paddled as if he was doing a beautiful dance. He also proved that we weren't too old to do our first (and probably last) WW trip. What a great guide (and pizza maker) ! Thank you Jeff and his wife Anne. (she had one of the biggest adventures and she wasn't on the river.)" Post subject: Re: Sue & Jim's Agawa Adventure Part I & part II NEW! Part III is now included in the top post. Part IV the final part is up. Long yes, but very interesting to look through others eyes. Too bad that this photo/painting did not come up before the trip. We were there, it is the same as the L Harris location right by our camp, just a different angle.